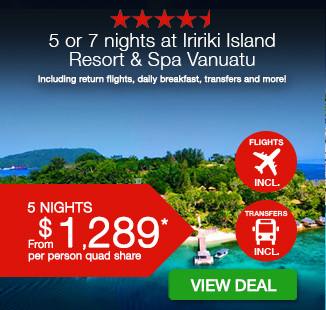 5 or 7 nights at Iririki Island Resort & Spa Vanuatu including return flights, daily breakfast, transfers and more! Upgrade to a family package! 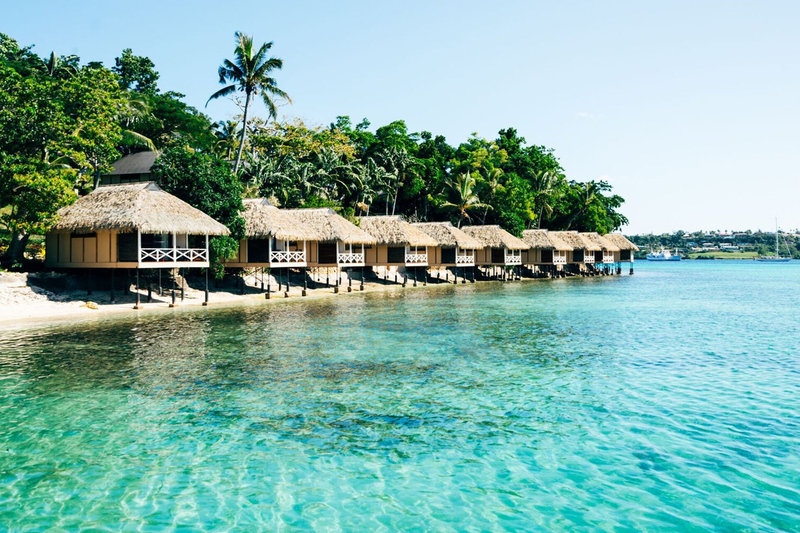 Experience luxury island accommodation at 4.5-star Iririki Island Resort Vanuatu, a unique escape set amongst a spectacular tropical landscape. 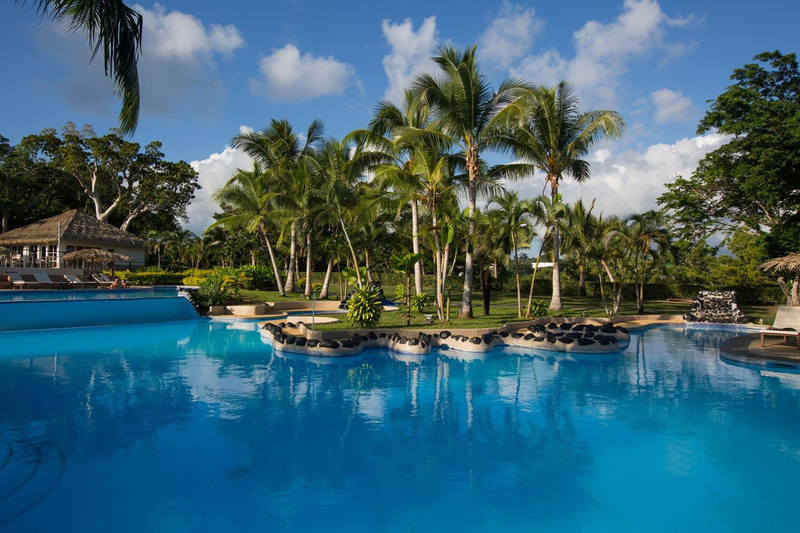 The resort offers beautiful views and vibrant gardens all year round and is the ideal destination for both couples and families alike. 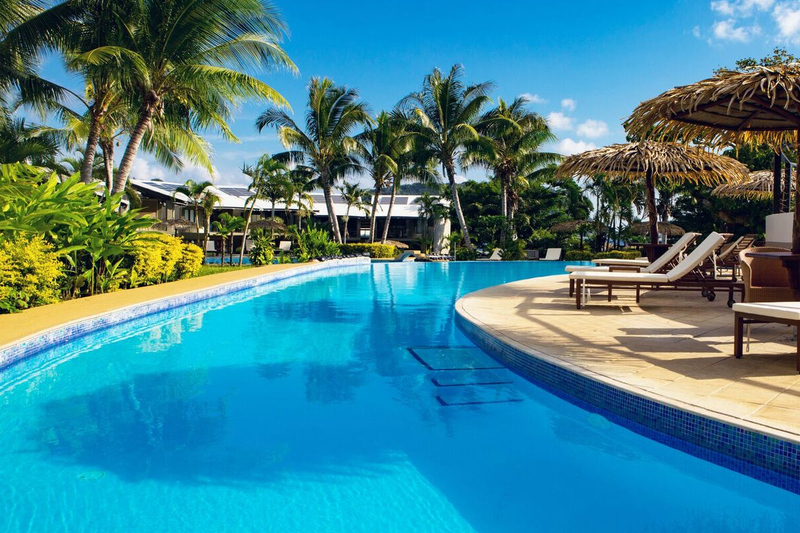 Iririki Island Resort was rated 3rd best South Pacific family holiday resort by Holidays with Kids. 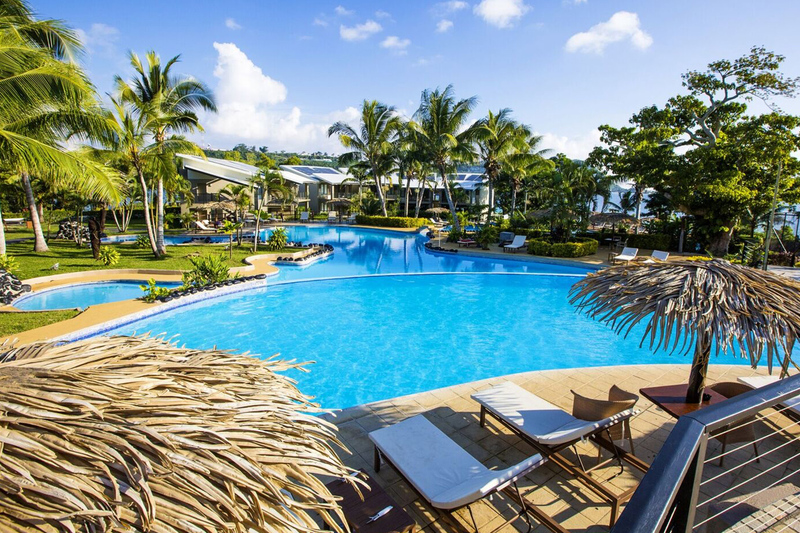 The resort offers endless onshore facilities including Vanuatu’s 4-tier cascading pool (one of the largest freshwater pools in the South Pacific! 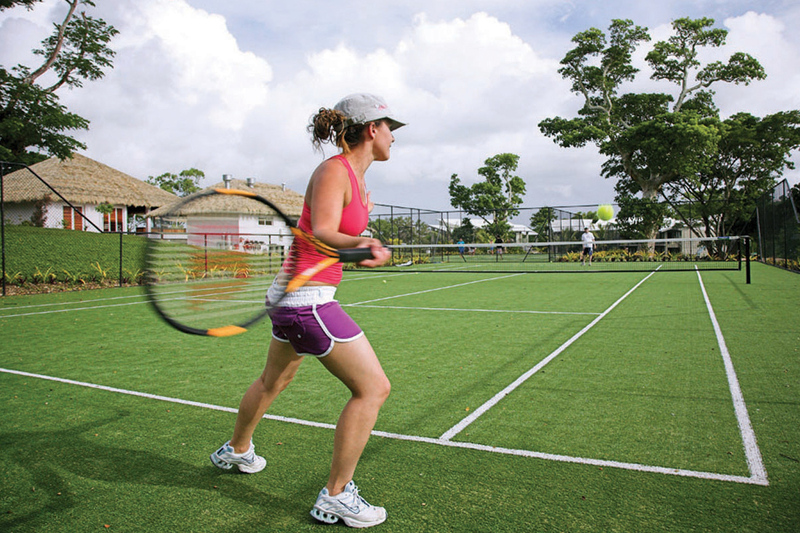 ), tennis courts, gym, complimentary kids’ club, games room and playground. 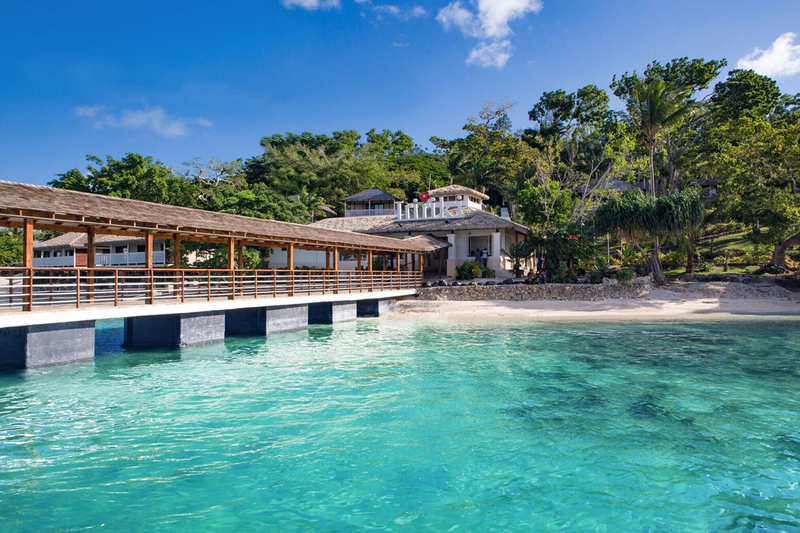 There are an abundance of recreation activities available including jet skiing, bicycle hire and scuba diving so you will never be short of things to do. 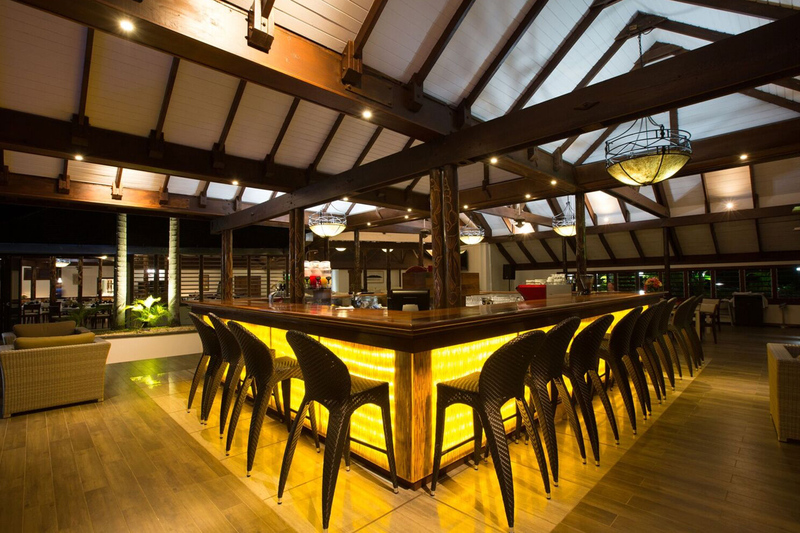 Dine at the numerous acclaimed restaurants and cafes on the island, offering a selection of delicious local and international cuisines. 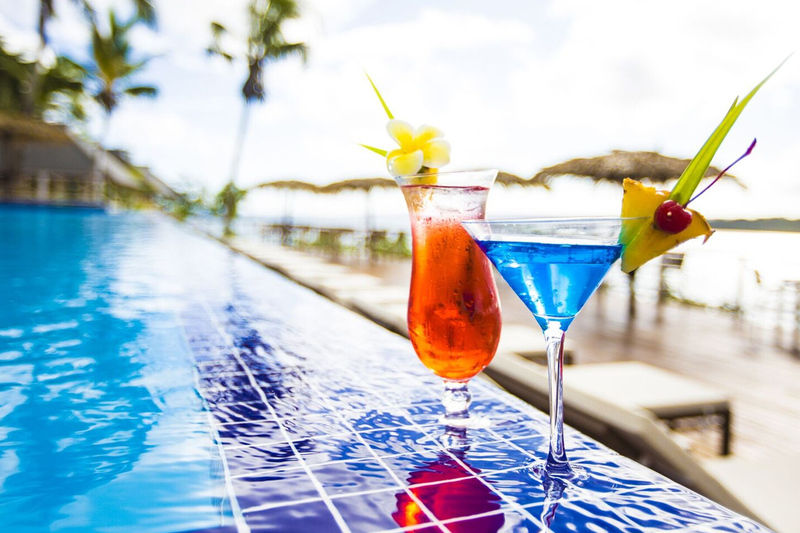 Get pampered at Spa Frangipani and enjoy the array of live entertainment on offer. 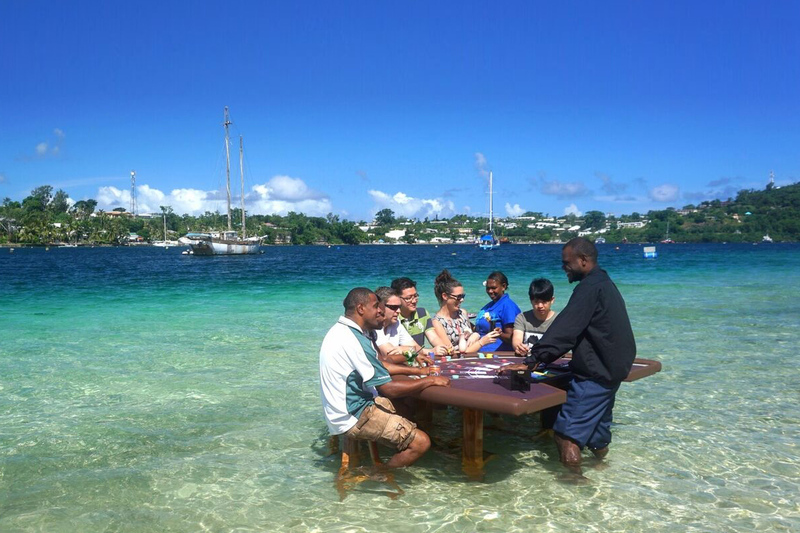 You’ll be located on a pristine and private island but just a short complimentary on-demand ferry ride to the vibrant nightlife and shops of Port Vila. 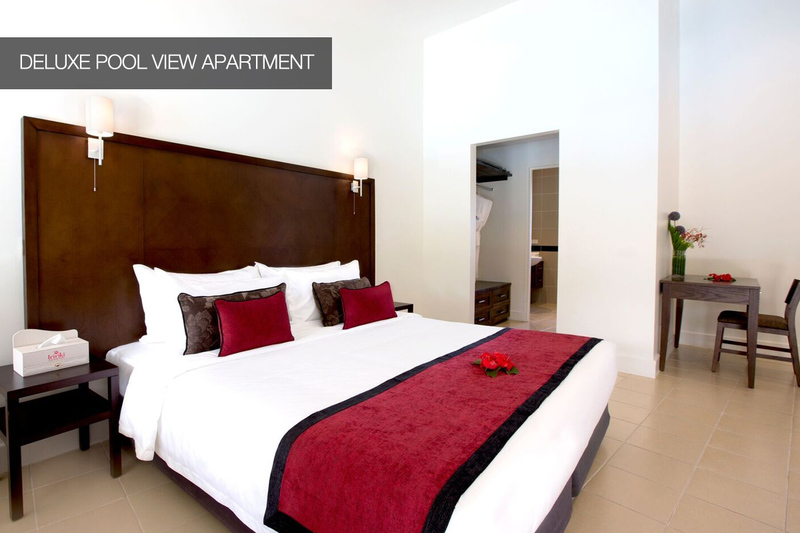 Your package includes return international airfares, 5 or 7 nights’ accommodation, return airport transfers, daily breakfast and so much more. See the What You Get section for more. 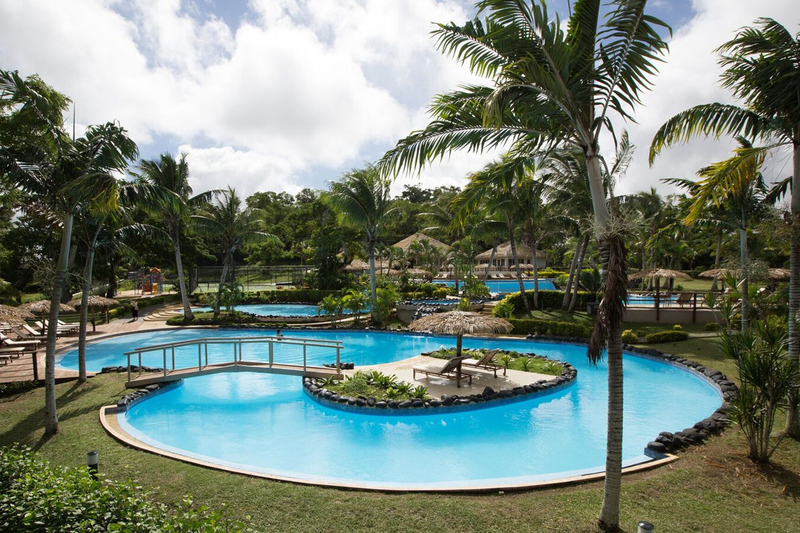 Awards: Top 3 South Pacific family holiday resort as rated by Holidays with Kids. Please see ‘Fine Print’ for travel period. Once booked and confirmed, no cancellations permitted. 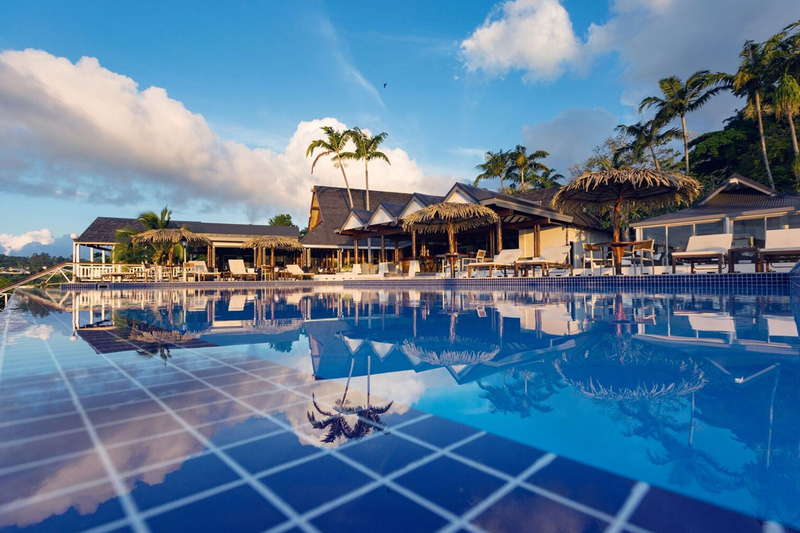 We are unable to guarantee which airline you will travel with as flights will be booked subject to promotional fare availability for your travel dates. If promotional fares are not available on the dates of your choice, you can opt to pay an airfare surcharge or choose alternative dates. 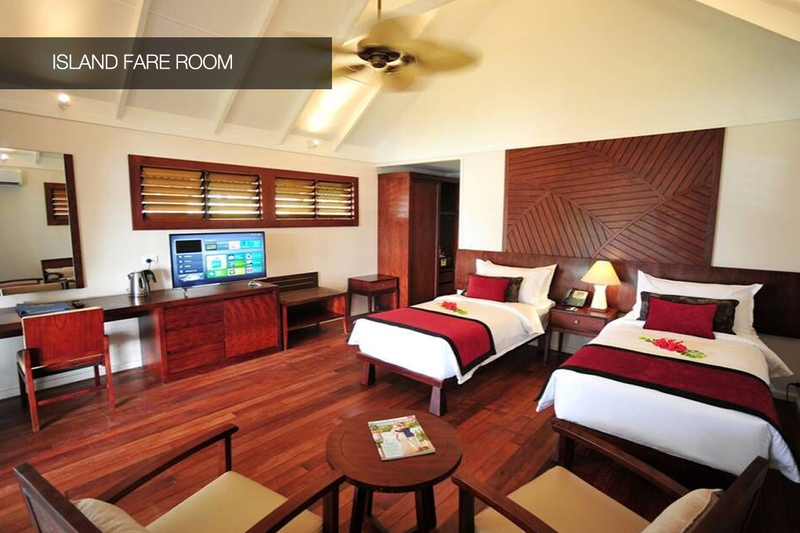 This surcharge can vary based on availability and our Customer Experience team can advise you when making your booking. Surcharges will apply for school holidays, public holidays and festive seasons such as Christmas and Easter as these are peak season travelling periods. All Children (2-11 years) must occupy their own seat. 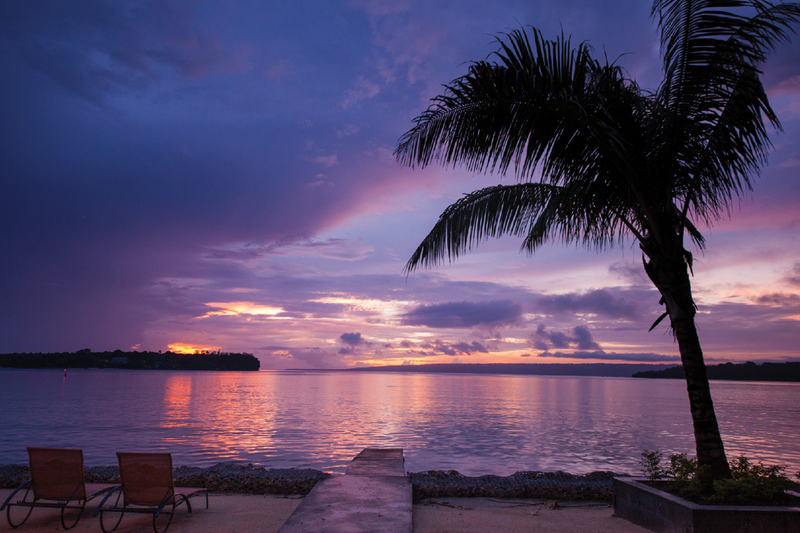 We encourage you to finalise your booking with Webjet Exclusives as soon as possible. 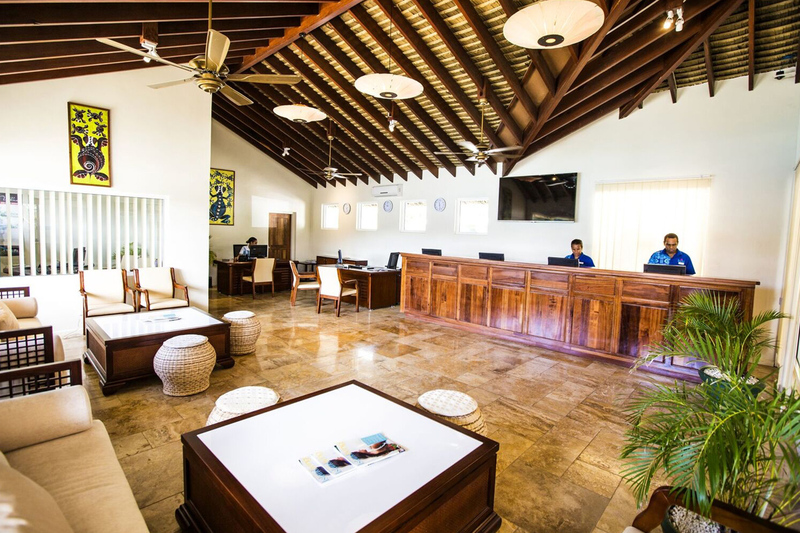 Surcharges listed in the booking calendar are only valid for 48 hours from selecting your date and may change should there be any delay in responding to our Customer Experience Team. 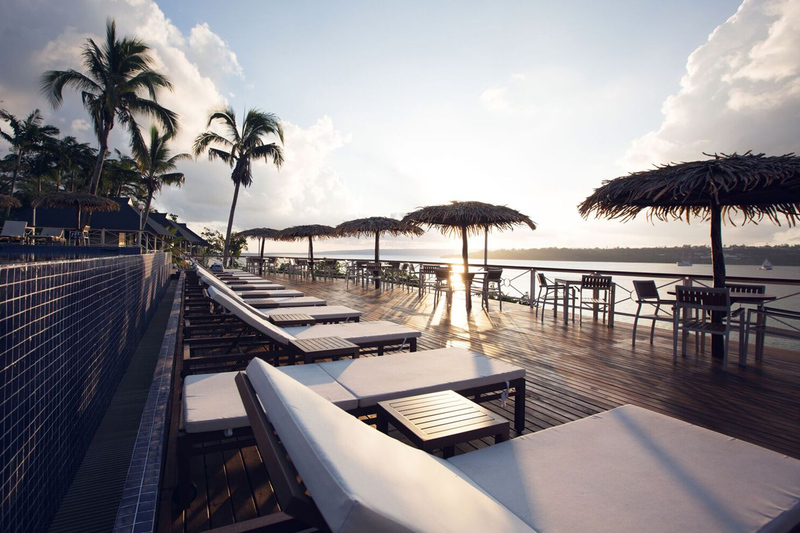 Island Fare – Located within the island’s lush tropical gardens, Island Farés offer incredible views of the harbour. 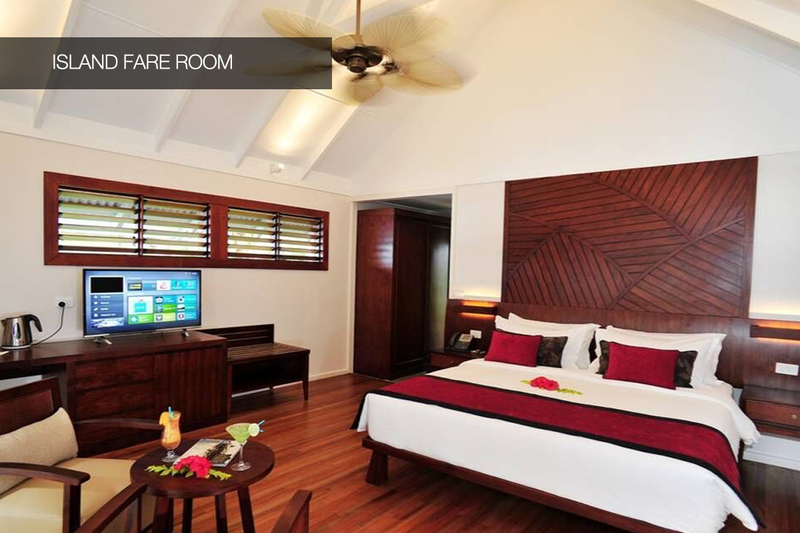 Decorated with tropical-styled furnishing and warm timber floors, these rooms give guests a true sense of the island life. 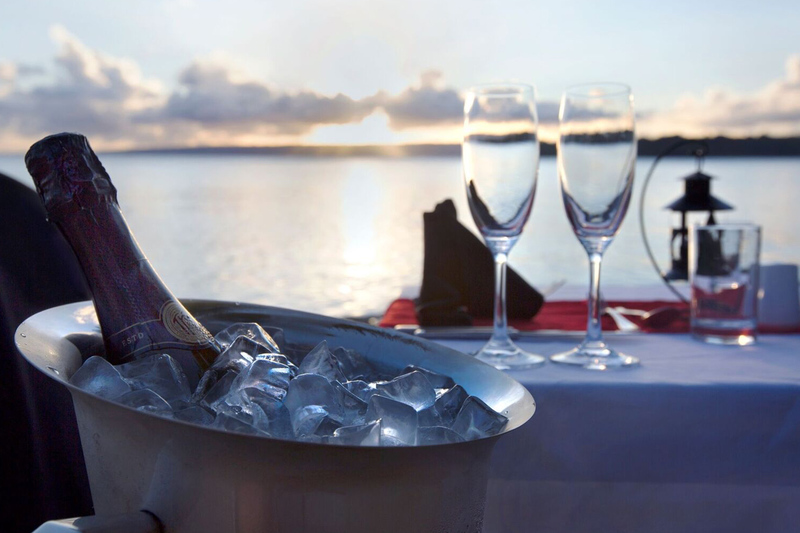 Make use of the private balcony by opting to wine and dine amidst the faré’s tranquil surrounding and enjoy picturesque sunset over the horizon. 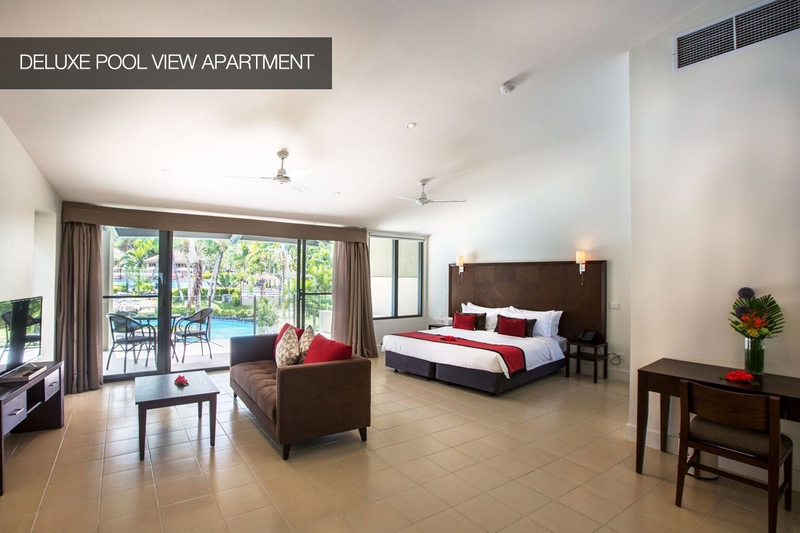 Deluxe Pool View Room – Located in the heart of the leisure precinct overlooking the 4-tiered lagoon pool, Deluxe Pool View rooms are perfect for families of up to 4 guests who wish to make the most of their island escape. 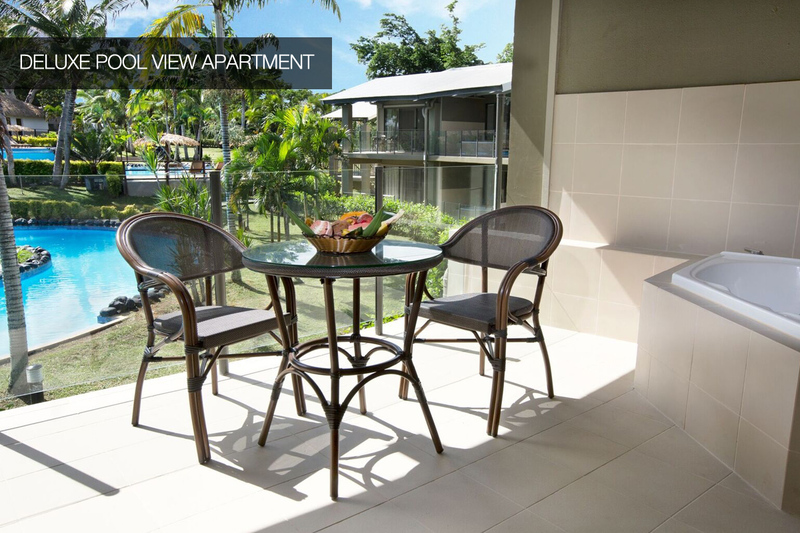 The accommodation boasts all the trimmings of an inner-city apartment furnished with modern necessities featuring floor to ceiling windows, kitchen, laundry facilities, an open plan layout plus a Jacuzzi on the balcony. Bedding Configuration – 1 x king bed or 2 x single beds plus 2 x rollaway beds. 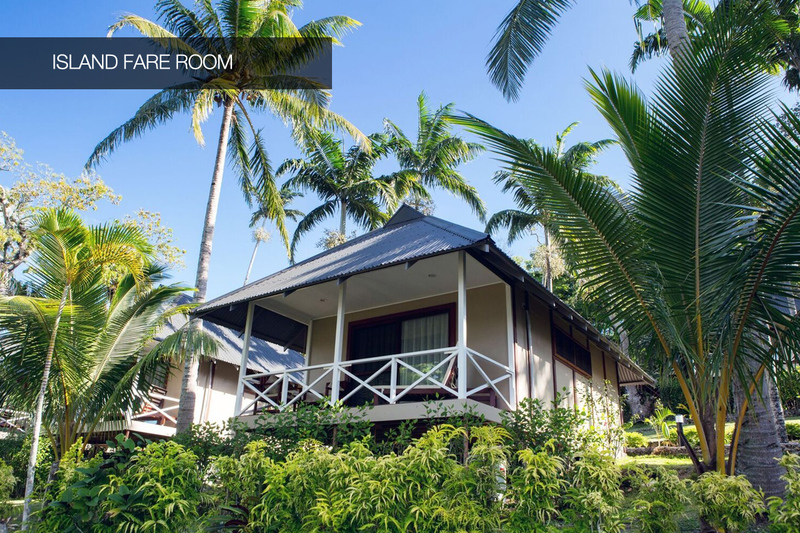 Maximum Room Capacity – 2 adults and 2 children 12 years of age and under. 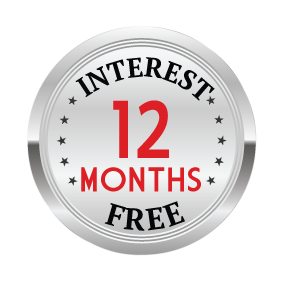 Child Policy: A child is considered 12 years of age and under. 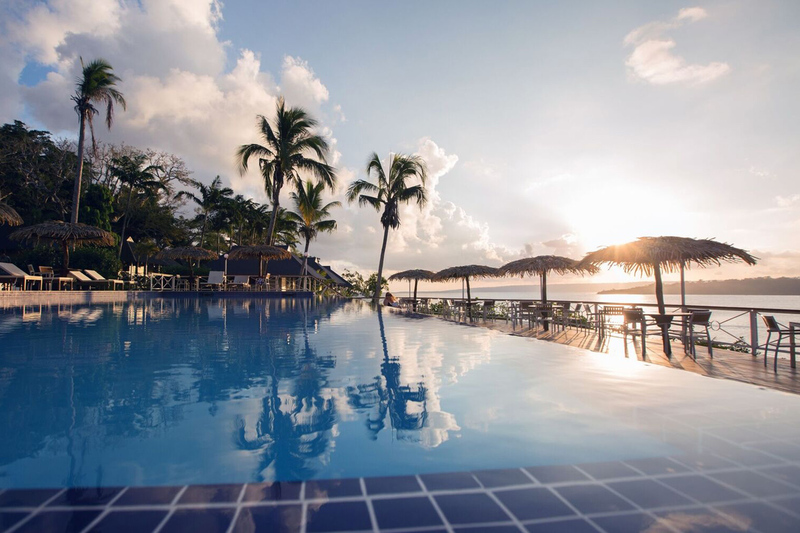 Note: If you have not yet selected your dates of travel or submitted your booking form, our 21 Day Money Back Guarantee allows you to claim a full refund within 21 days of your purchase. However, if you have selected your dates and submitted your booking form, your purchase becomes strictly non-refundable even within 21 days of purchase. See our Terms & Conditions for further details. Please refer to the availability calendar for any black out dates or surcharge periods. Couples & Family packages available! 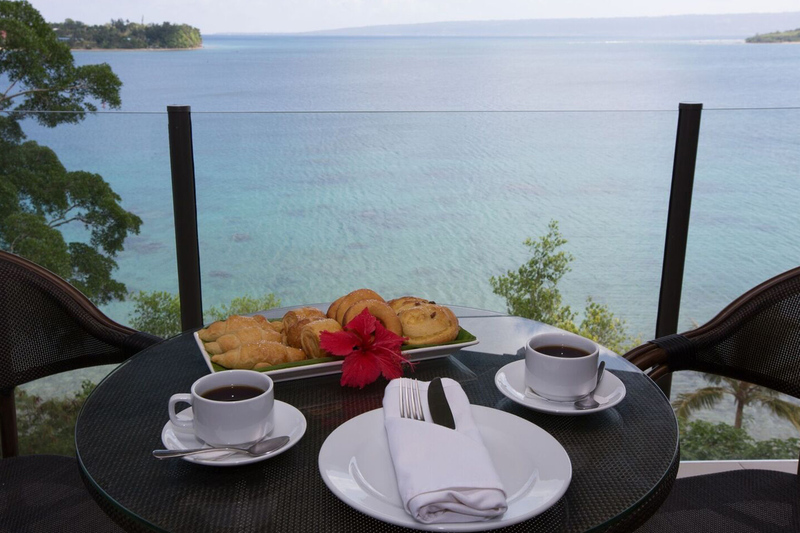 Your stay at the Iririki Island Resort & Spa Vanuatu is subject to availability at the time of your booking. We advise you to book early to avoid disappointment.